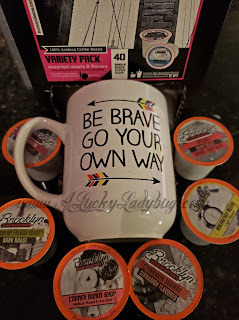 By now I think most of my readers realize our family is big into their coffee and hot beverages! Not only do both my husband and I drink at least a cup a day, but our daughter takes a cup to go each morning as she heads off to work. As you can imagine, we go through a lot of coffee and each of us have very different flavor preferences. My daughter hates spending money in the coffee shop of her hospital and I hate going to places like Starbucks or the Coffee Beanery everyday to get my caffeinated snacks. The costs are outrageous for something I can just as easily create at home. 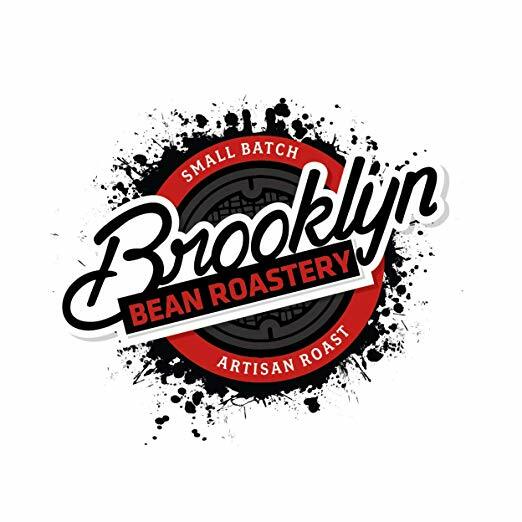 Brooklyn Bean Roastery makes it easy to whip up something different each day with their Assorted Variety Pack! "This morning are you in the mood for some pizzazz or chill? Do you crave some bold slap-you-in-the-face flavor, or mild taste? 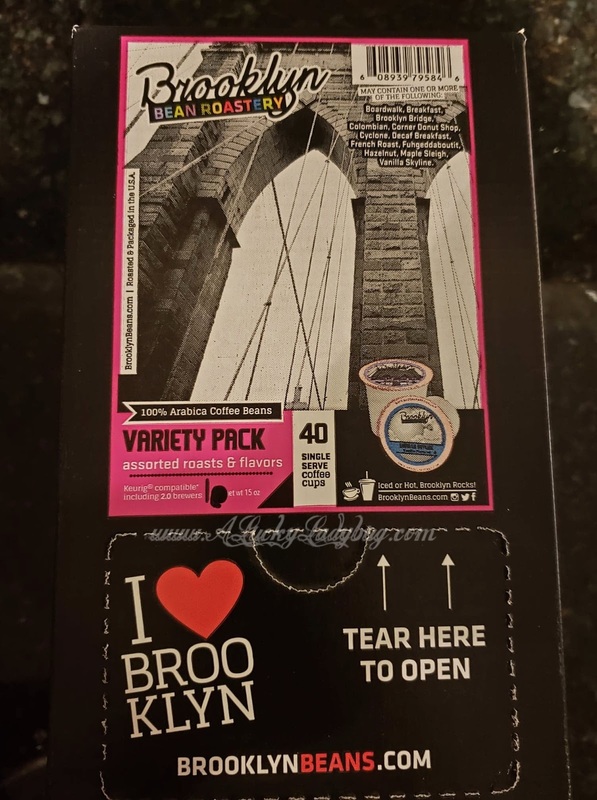 Brooklyn Bean Roastery says who cares, have them all!" Being able to try whatever flavor which would suit each of our tastes, made this box quite enjoyable. We've had fun sharing cups and sampling each flavor that came in the box. 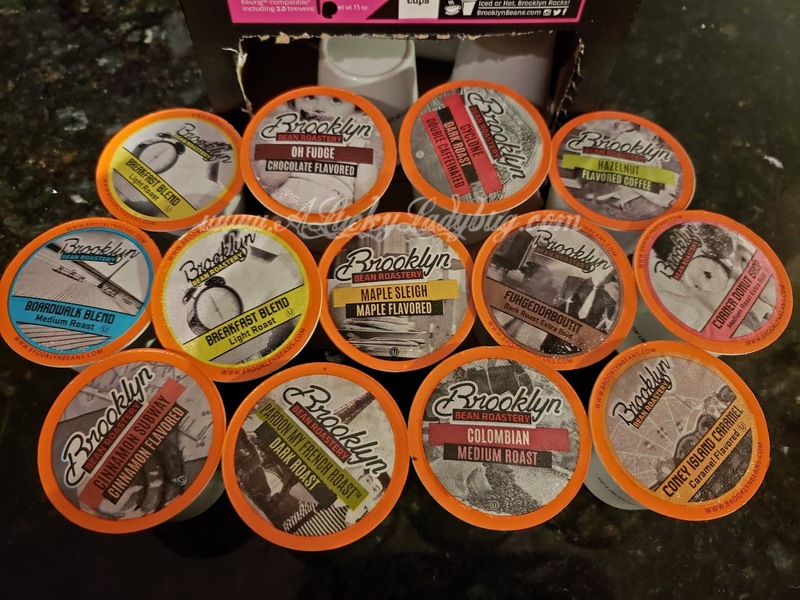 A few of the flavors included: Hazelnut, Maple Sleigh, Breakfast Blend, Pardon my French Roast, Cinnamon Subway, Boardwalk Blend, and Fuhgeddaboutit. Since Kevin takes his coffee black, he enjoyed the smooth flavor of the Corner Donut Shop. I went with the Cyclone Dark Roast Double Caffeinated to keep me going this past week after all I had going on. 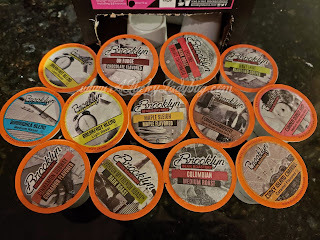 Alana enjoys the flavored coffees with her favorite so far being the Coney Island Caramel. PLUS, right now there is a $5 off coupon you will want to clip for an especially great deal!! Giveaway: Brooklyn Bean Roastery is going to give one of A Lucky Ladybug's lucky readers the same 40 ct Brooklyn Bean Roastery K-cup Sampler Pack to have of their own!